FLAC ( Free Lossless Audio Codec) is a file format that offers perfect copies of digital audios but at half the size. Similar to Apple Lossless (ALAC), Microsoft’s WMV and WMA Lossless, FLAC is also an open-source file format for lossless compression of digital audio. It even gradually developed itself into the best alternative to the above mentioned lossless file formats due to their limited features. For example, the popular WAV format, though compatible with all iOS devices cannot retain “tag” data such as artist, album name and etc. And files saved in WAV file format is larger than that in other formats like FLAC, while maintaining the quality of the original file. Moreover, FLAC files are available roughly at the same price as the equivalent MP3 in online stores and can deliver better sound quality. Since FLAC is one of the most popular file formats, various corresponding players could be compatible and available. Here, we have listed the top 5 FLAC players for Mac users. What are the Top 5 FLAC Players for Mac Users? 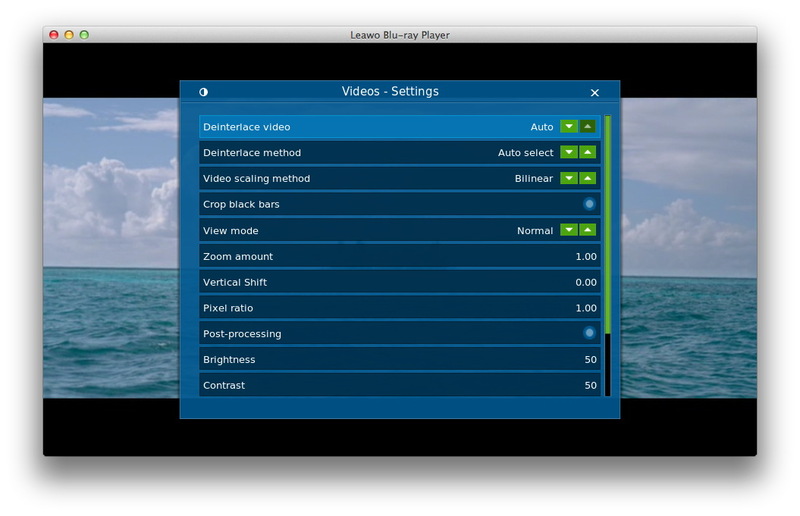 This FREE Leawo Blu-ray Player for Mac is an all-in-one player for various video and audio files with loss-less quality, which can support all common and uncommon file formats including FLAC, WMV, MP4, AVI, FLV, MKV, M4V, MP3, AAC, and so on. What’s more, by no means is it a single player machine for playing media files. Instead, it can also play Blu-ray discs/folders/ISO files on iMac and Macbook without any hassle. And its advanced technology like Dolby, DTS, AAC, TrueHD, DTS-HD, etc., is able to to offer an extraordinary visual experience for Mac users, since it can delicately play every image, every action, without any quality losses be it still or moving. That’s not all! With this software, you can fully control the file playback and have a customized visual experience to your own preference by changing the playback settings like subtitle, audio/video settings as needed and wanted. And the feature of virtual remote control enables users to smoothly manage the playback while cozily lying in the sofa. Best of all, it is totally for FREE and you don’t have to pay any single cent to get this almighty yet easy-to-use player! 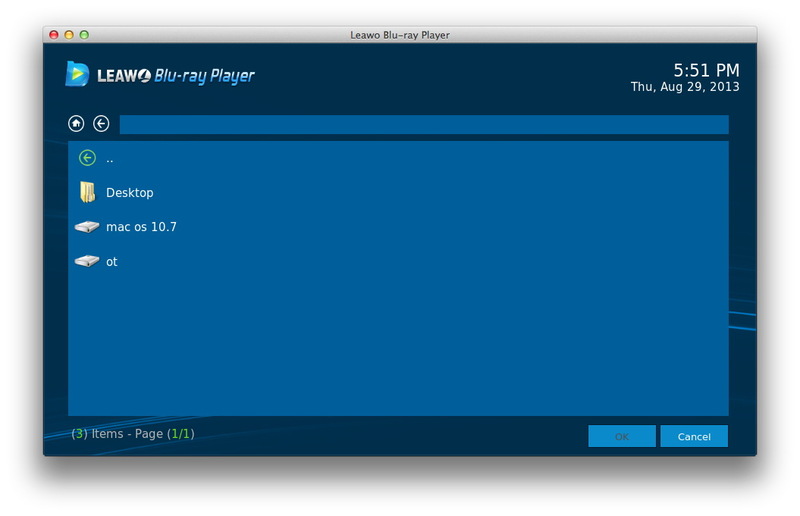 You can’t imagine how simple it is to operate this powerful Leawo Blu-ray Player for Mac software! Step 1. Open the installed software on your Mac computer and then load the source FLAC file to the main interface of this software. Step 2. After that, you can change the playback settings as you liked and wanted. Here, you can select the subtitle that you want to display or directly load the external subtitle, and readjust the video or audio settings respectively to have your own personalized playback. Finally, you can freely enjoy your movie or video playback. 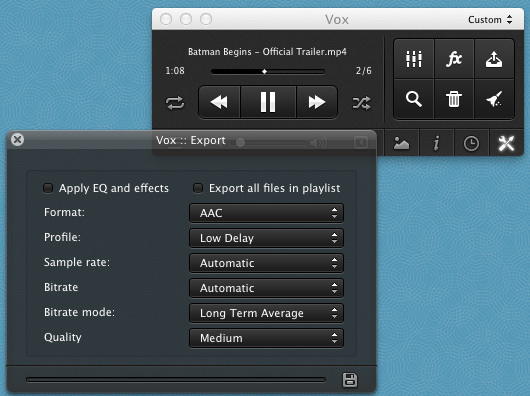 Vox Player is a professional player which can be used for FLAC playback as well as other audio/video file playback. It can support all various popular formats like ALAC, DSD, PCM, APE, and M4A. Moreover, this player also allows users to stream Youtube videos, listen to internet radio, search and manage music songs. However, using this player requires high CPU and RAM, so it may slow your computer operations while using this player. What makes things even worse is that it sometimes even goes on par with iTunes. If you just want to play local FLAC files on Mac computer, you can also rely on this VLC Media Player. This open-source media player is compatible with all audio/video formats including AAC, AC3, ALAC, AMR, DTS, DV Audio, XM, FLAC and so on. More importantly, aside from FLAC files, this all-in-one software can also support discs, CDs, webcams and many more. But similar to the Vox Player as introduced in the above, this VLC Media Player occupies high CPU storage space. This Winamp software is an easy-to-use and powerful player which is compatible with almost all music and video formats, and of course FLAC file format is included. Moreover, it supports a number of languages. This media player has two different versions, i.e. the free version and pro version ($19.95) for users. 5K player is actually a handy media player for users, which is able to play back FLAC file, ALAC, MP3, AAC original audio data, as well as broken/corrupted FLAC files. Similar to all the media players as listed in the above, this 5K Player is also fully compatible with all common and uncommon video and audio formats. 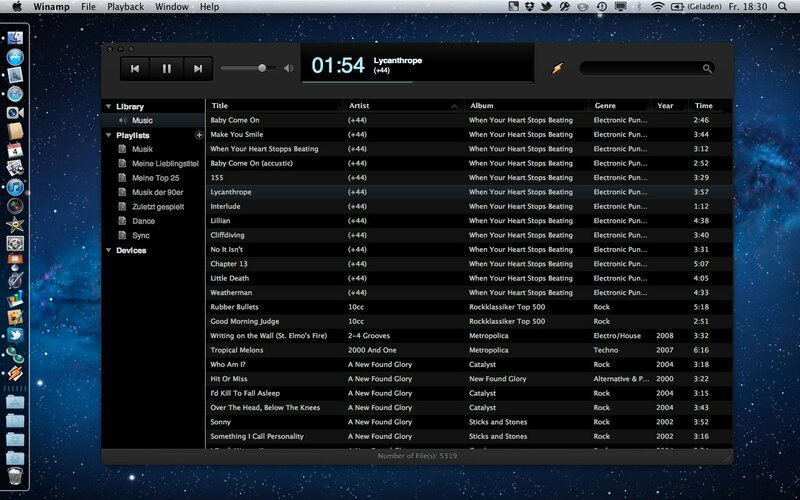 Now, every Mac users might have already get the basic introduction on the top 5 FLAC player in the market. And you can then choose a desired one to play FLAC media files to your own preference. But while picking out one, you need to weigh its advantages and disadvantages. Generally speaking, each of the above 5 FLAC players can support almost all video/audio formats, but not all are FREE ones like the pro version of Winamp! Also, some may occupy high CPU while in service like Vox Player and VLC Media Player. So if you want to play FLAC on Mac while engaging yourself in some other events like online shopping, you are suggested to try another tool. And compared with 5K Player, though it is more powerful, this FREE Leawo Blu-ray Player for Mac has a relatively simpler user interface, allowing you to finish the FLAC file playback in a smooth ways. Anyway, you can actually download all the free trial versions to pick out your favorite one!